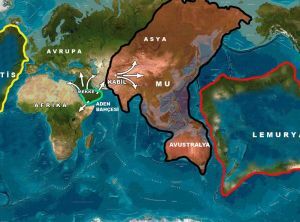 Lemuria (pronounced /lɨˈmjʊəriə/) is the name of a hypothetical "lost land" variously located in the Indian and Pacific Oceans. 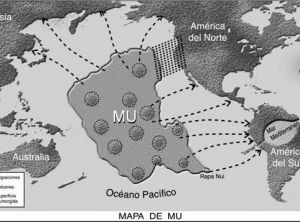 The concept's 19th century origins lie in attempts to account for discontinuities in biogeography; however, the concept of Lemuria has been rendered obsolete by modern theories of plate tectonics. Although sunken continents do exist — like Zealandia in the Pacific and the Kerguelen Plateau in the Indian Ocean — there is no known geological formation under the Indian or Pacific Oceans that corresponds to the hypothetical Lemuria. Though Lemuria is no longer considered a valid scientific hypothesis, it has been adopted by writers involved in the occult, as well as some Tamil writers of India. 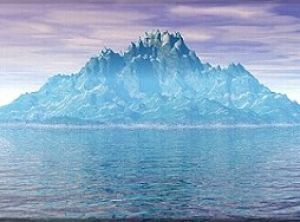 Accounts of Lemuria differ, but all share a common belief that a continent existed in ancient times and sank beneath the ocean as a result of a geological, often cataclysmic, change. There is no scientific evidence to support these claims.